Real leadership and peak performance are only available to you when you have nothing standing in your way. More often than not our own minds keep us from our full potential. 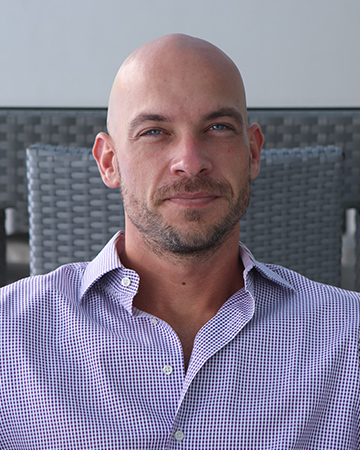 For me, it was vital to find bulletproof self-esteem and confidence in myself to move forward. Today I help others to find that same level of confidence within themselves so they can reach their full potential. Making money is great and can truly be used as a tool to do amazing things, but it can’t make you happy. So often I see financially successful people that are unhappy and unfulfilled. This isn’t just a case of “this is how it is for me,” anyone can find happiness. True success happens when you are able to provide real meaning to your life and find a purpose you can feel good about. Let’s work together to find the contentment that was supposed to come along with all that “success” in the first place. Break through boundaries. Build your self-esteem. Achieve your goals. 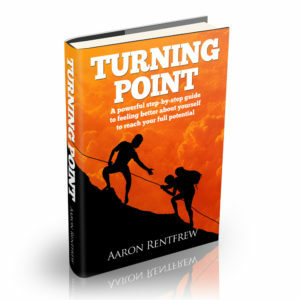 “Turning Point” is over 200 pages of step-by-step instruction for lasting growth to reach your full potential. Unlock your true performance! Want less stress? There’s no other way; you gotta work for it. 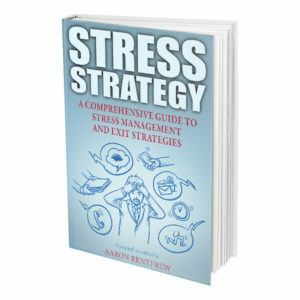 Download this free eBook now to learn some proven strategies that help recognize and deal with stress as well as recommendations to avoid future stressors. Strive to be the best version of yourself by clearing a path towards growth. You’re invited to join in and share your experiences, your strength, and your “hacks” to reaching peak performance physically, mentally and emotionally. Be a part of the conversation towards health, high performance and personal growth. I promise you’ll get out far more than you put in! Living Right began as a way for me to help others tackle issues I dealt with in my past. What I found is that helping others had a profoundly positive impact on me in ways I never imagined.